Absolutely Loved This Condo !! Absolutely love this condo, it's very updated and right at the beach. 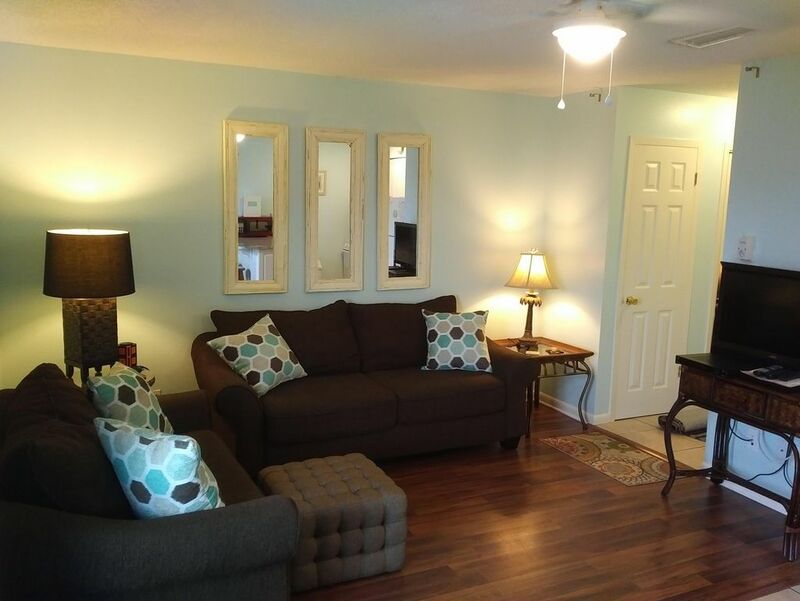 The location is perfect and walking distance to restaurants and the Hangout as well. You will have your feet in the sand in seconds and watching the waves roll in which is super convenient. The condo is equipped with everything you will need as well as a fully stocked kitchen for your stay so no need to worry about not having anything here. Randy is top notch on his customer service and made the booking and stay process seemless. We can't imagine even renting from anyone else as this is not the first time we have stayed in one of his units and each time we have an absolutely phenomenal experience. If you have ever been to Gulf Shores before your are missing out !!! Gulf Shores is incredible and there is so much to do outside of hanging out on the beach (even though that's my favorite thing). Thank you Randy for another great stay and I would encourage anyone looking for a condo to check one of Randy's places out as he has a great selection to choose from and multiple locations in Gulf Shores to choose from as well.